If it were up to me, every month would be Women’s History Month, but alas for the foreseeable future it is *officially* delegated to March in the United States, and today is our last chance to celebrate! How auspicious that March 31 also happens to be the birthday of Pipsan (born Eva Lisa) Saarinen Swanson, designer of furniture, interiors, fashion, and textiles, and younger sister of one of the most recognizable names in modern architecture, Eero Saarinen. Pipsan’s father Eliel was of course the architect of the Cranbrook Campus and President of the Cranbrook Academy of Art from 1932-1946, but before being lured to Bloomfield Hills by Cranbrook founder George Gough Booth, he was a visiting professor of architecture at the University of Michigan. One of his star students was Grand Rapids native J. Robert F. Swanson, who upon graduation founded the Swanson and Booth architectural firm at Cranbrook with his University of Michigan classmate Henry Scripps Booth, George’s son. It was here that Swanson was introduced to Pipsan, and immediately Cupid wielded his mighty arrow–they were married in 1926. After Swanson broke away to establish his own firm, Swanson and Associates, Pipsan was enlisted as an interior designer for the company, and the husband and wife team would continue their working and romantic partnership for the rest of their lives. 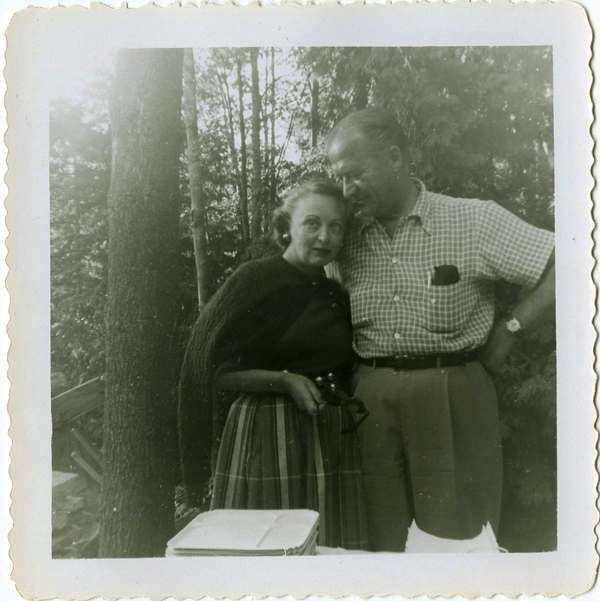 Pipsan Saarinen Swanson and J. Robert F. Swanson, undated. Photograph courtesy Cranbrook Archives, J. Robert F. Swanson and Pipsan Saarinen Swanson Papers. Cranbrook Art Museum holds in its collection a wonderful array of objects designed by the Swansons, as well as many costume, glass, and textile designs executed solely by Pipsan. Shoshana Resnikoff, Collections Fellow for the Center for Collections and Research (and frequent guest blogger on Cranbrook Sightings) has written a beautiful account of one such costume design on our sister blog, Cranbrook Kitchen Sink. 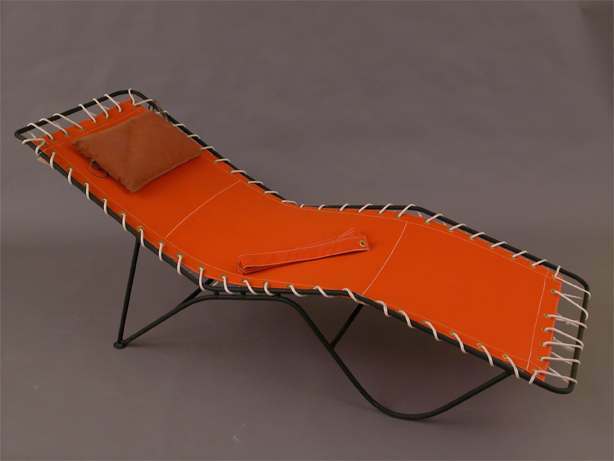 Sol-Air Canvas Chaise Lounge, c. 1950. Swanson and Associates. Photo (c) Cranbrook Art Museum. Promotional photograph for the Sol-Air furniture series. Photograph courtesy Cranbrook Archives, J. Robert F. Swanson and Pipsan Saarinen Swanson Papers. Sol-Air advertisement, June 1950. Photograph courtesy Cranbrook Archives, J. Robert F. Swanson and Pipsan Saarinen Swanson Papers. 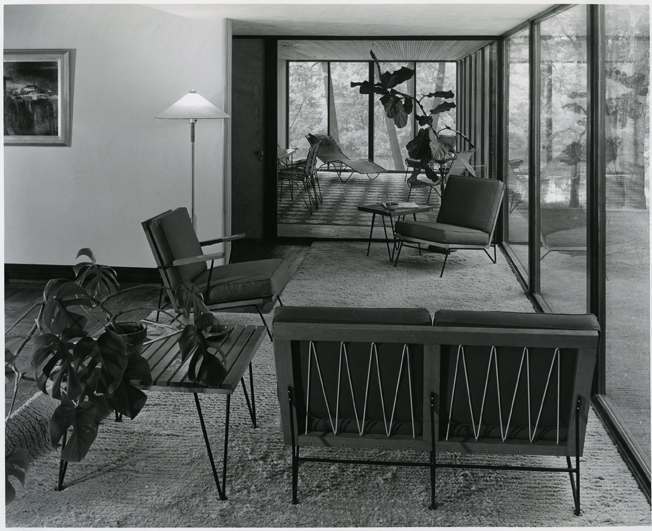 The furniture series was a hit with the design community, ultimately being selected for the 1950 inaugural (and now notorious) “Good Design” exhibition at the Chicago Merchandise Mart, co-sponsored by the Museum of Modern Art in New York. 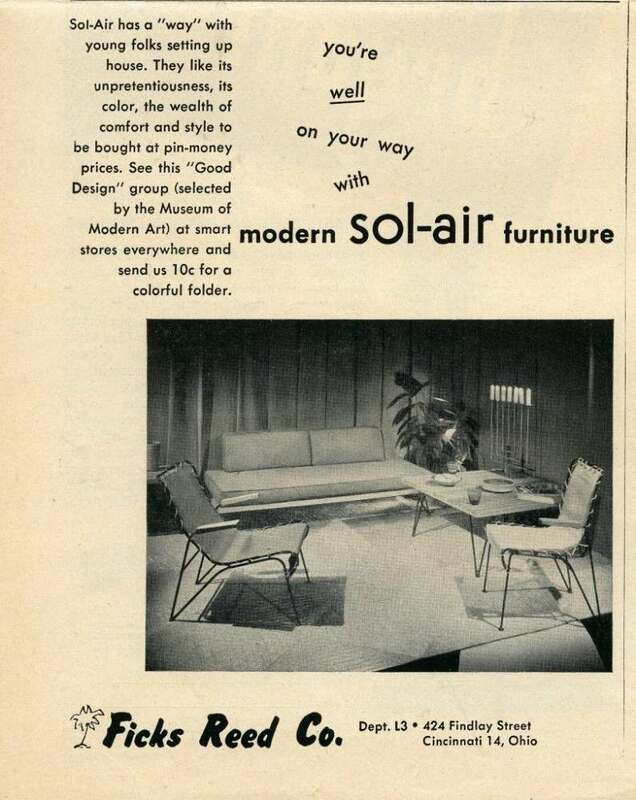 This October 1950 press release from the MoMA outlines the reception of the exhibited works based on polls from different categories of the public, and Pipsan’s Sol-Air Canvas Chaise Lounge came in second place among buyers–quite a propitious sign for the Ficks Reed wholesalers! 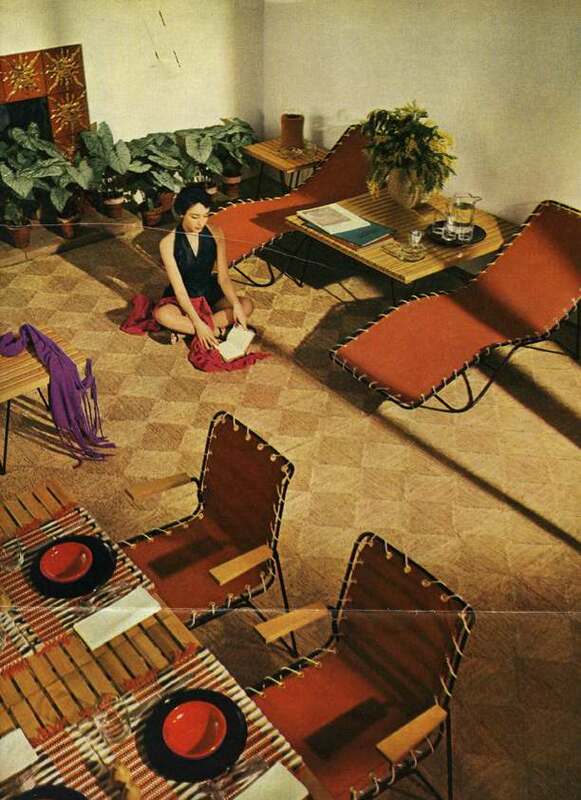 Sol-Air furniture featured in interior design editorial, photographed by Herbert Matter for House and Garden, July 1950. Photograph courtesy Cranbrook Archives, J. Robert F. Swanson and Pipsan Saarinen Swanson Papers. The weatherproof, bright persimmon chaise lounge radiated casual, youthful relaxation, and throughout the suite’s five years in production was consistently one of its best sellers. With spring finally (FINALLY) upon us, I’ll take reclining in one of these nautically-inspired stunners over curling up in a womb chair any day. Well done, Pipsan!